The original concept for Shrpa stemmed from an experience Lukenbill had with his own family. He had visited LARK toys in Kellogg, Minn. several times with his wife and children. But instead of their normal one-stop trip to the store, Lukenbill received a handcrafted itinerary from a colleague, which led to a multi-phase adventure at several businesses and tourist spots in that region. Lukenbill paired up with Vig to bring this vision to life. Vig, a software engineer, brings extensive knowledge in building architecture software systems that scale for large companies to the Shrpa team. Vig spent over eleven years at Microsoft and most recently worked at the computer gaming company NCSOFT. Shrpa, Lukenbill explained, is like micro-travel agency that puts together a set of experiences in a way that make sense for each set of users. The service helps to reduce the friction associated with visiting a location for the first time by providing users with “tips and tricks” to reduce uncertainty, to achieve a memorable reduced-stress experience, to allow users to experience a community like a local. Shrpa is not a service users would seek out every time they left home. “This is going to be the thing you use to go to have a new experience and along that experience you’re going to find cool stuff that you are going to want to go back and do again,” Lukenbill explained. Shrpa will be a highly customized service driven by locality. To get that authentic experience, itineraries in each community will be built by local people, which Lukenbill and Vig call Sherpas, with a high level of passion and knowledge about that particular location. Lukenbill and Vig have identified some of their first Sherpas, people already providing this type of work or creating similar content. They plan to plug into additional experience and adventure resources as the scope of Shrpa grows. As a serial entrepreneur, Lukenbill knows how to grow a startup. He previously founded a greenhouse business called Fresh with Edge and an agtech startup called Able.ag. His plan with Shrpa is to start small, get a minimal viable product onto the market, and really understand how people use and derive value from the service. Right now, he sees information obtained from Shrpa’s early adopters as useful as the itineraries these users will gain from the service. Once Lukenbill and Vig better understand the direction of Shrpa, they’ll pursue monetization strategies. Now, the pair is excited to provide a highly customized, modern way for people to explore their community and experience brand new adventures. Look for the first version of Shrpa to launch this month. Photo courtesy of Technovation[MN]. B.A.S.I.C. B.A.L.S.A students and professional mentors. MINNEAPOLIS -- A team of three middle school and two high school girls from Rochester Public Schools won the $10,000 Sunrise Banks prize in the 14th annual Minnesota Cup business startup competition held by the University of Minnesota’s Carlson School of Management. The girls developed a cell phone app named Bridge that provides resources for immigrants to improve their quality of life in an unfamiliar community by helping them access banking and broader financial support. The team, called B.A.S.I.C. B.A.L.S.A., is sponsored by the local chapter of the Black Data Processing Associates (BDPA) and the Rochester Public Schools (RPS) and developed its app in cooperation with a local nonprofit, the Diversity Council. This past May the girls first submitted their app at Minneapolis’ fifth annual Technovation “Appapalooza” meet, a competition for middle and high school girls that is part of a global program. They ranked highest in the high school division and thus qualified automatically as a semifinalist for the Minnesota Cup. In mid-2017 a different RPS high school team sponsored by the BDPA, called SKeMAS, became a first runner-up in the Technovation Challenge globally and was awarded $5,000 in scholarship money as a result. One of the five B.A.S.I.C. B.A.L.S.A. girls was on a BDPA middle school team that was a Technovation qualifier at the Appapalooza in 2016. In 2015, a team from Kasson-Mantorville Middle School was one of only four finalists in its division worldwide at the global Technovation finals held in San Francisco. The Minnesota Cup is the largest statewide startup competition in the country. The SKeMAS team was a finalist in the 2017 Minnesota Cup youth division as well as in the Women-Led teams division where they competed against adult teams. B.A.S.I.C. B.A.L.S.A. likewise competed against at adult teams for the Sunrise Banks prize. Students on the B.A.S.I.C. B.A.L.S.A include: Audrey Whitney, Bailey Klote, Anjali Donthi, Alexandra Bancos, and Simran Sandhu. Professional mentors for the team included: Ginny McCright, Kris Whitney, Scott Klote, Gina Whitney, and Courtney Kramer. What is Technovation[MN]? A 12-week program that connects professional mentors to all-girl teams to enable girls to dream up, design, and code mobile phone apps. Coaches keep the teams on track with the support of a few professional mentors. Each team of up to five girls develops a real-world combination of technical and entrepreneurial skills as they code an app and prepare to pitch their idea at Minnesota's statewide event in early May, the Appapalooza. Selected teams have the opportunity to advance and compete in the global Technovation Challenge, as did a middle school team from Kasson-Mantorville in 2015 (which also led to participating in the 2016 White House Science Fair). Technovation was brought to Southeastern MN by Code Savvy, Technovation[MN], Preventice Technologies (Rochester office), and the former Rochester Area Math Science Partnership (RAMSP), now called STEM Forward; in the Rochester area Technovation has received financial support from IBM and the Mayo Clinic. Five Rochester middle and high school girls are aiming to improve quality of life with their mobile phone application called Bridge. Team B.A.S.I.C. BALSA- comprised of Anjali Donthi, Simran Sandhu, Audrey Whitney, Alexandra Bancos, and Bailey Klote- placed first in the senior division of a state-wide tech competition. The girls are now making their way through the semifinal round of Minnesota Cup as the new school year approaches. Bridge helps immigrants, refugees, and visitors locate necessary resources within their new communities like food, shelter, educational resources, and places of worship. “Most of the members of our team, we have family who are immigrants. So that is how we chose to make an app that solved problems that immigrants faced,” explained Donthi, an incoming tenth grader at Century High School. Users can search for resources within Bridge using six different languages including English, Spanish, French, Arabic, Chinese, and Hindi. Overall, the app aims to improve quality of life. The team hopes to scale Bridge to benefit other communities beyond Rochester. The Bridge app was coded over fifteen weeks this past school year- primarily by sixth grader Whitney- as part of the Technovation Challenge. Technovation is a global competition that encourages girls to solve problems they encounter in their everyday lives with technology. Throughout the challenge, teams of five work with volunteer mentors to create mobile app “startups”; many teams have no coding experience prior to the competition. Technovation has proven success of increasing young girls’ interest in coding fields. Fifty-eight percent of Technovation alumni enroll in additional coding classes after the competition. Twenty-six percent of alumni major in computer science in college, compared to the 0.4% national average of first year female computer science majors. This year, ~19,000 young girls registered for the Technovation Challenge. The Minnesota branch of the competition, called Technovation[MN], culminated in a statewide competition called Appapalooza in May, where teams showcased their mobile technology and business plan, which included marketing and financial strategies. This year, a record high seventy-five teams competed in Appapalooza, with nine teams moving on to the semi-final round of the global competition. B.A.S.I.C. BALSA walked away from the state competition as the Senior Division winner, advancing to the Technovation semi-finals. Although their journey with Technovation this season ended in the semi-finals, the team spent the summer refining their business plan and pitch to compete in the Youth Division of Minnesota Cup, the largest statewide business pitch competition in the nation. The girls submitted their application to Minnesota Cup last week and learn if they will advance to the final round on August 21st. Now, B.A.S.I.C. BALSA is refining their technology, building category filters for optimized searches, and adding additional languages to their app. The girls plan to ultimately turn over ownership of Bridge to Rochester’s Diversity Council for long term maintenance and support. Overall, the girls of B.A.S.I.C. BALSA said they enjoyed the Technovation experience and plan to continue with the program throughout their middle and high school careers. In addition to learning coding, the competition also taught them teamwork, business development, and other valuable skill sets. Plus, they just had a good time. “[Technovation] is really fun and [other girls] should do it because it can be a really good learning experience. If you never ever thought of doing it and you try, maybe you’ll really like it and you can go into the field of coding someday,” said Klote. Teams from Rochester and southeast Minnesota have historically performed well in the Technovation Challenge. 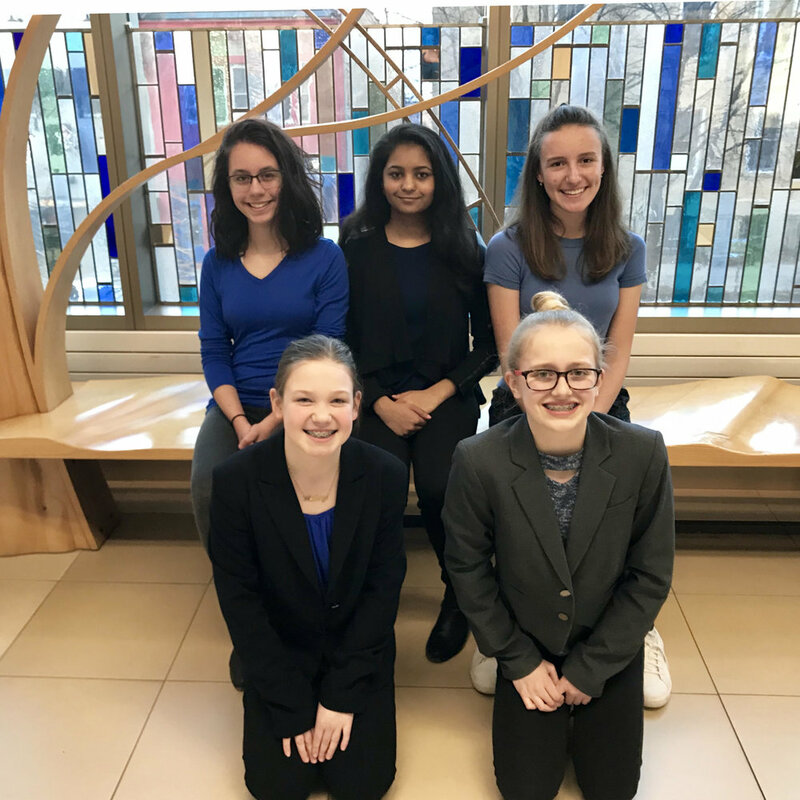 Three years ago, a team of seventh graders from Kasson-Mantorville Middle School were one of four teams that qualified to compete in the Technovation finals in San Francisco. Last year, Rochester high school team SKeMAs finished as runners up in the global semi-final round for their app to minimize distracted driving. Rochester entrepreneur Kenneth Ngah has his latest startup venture in focus. 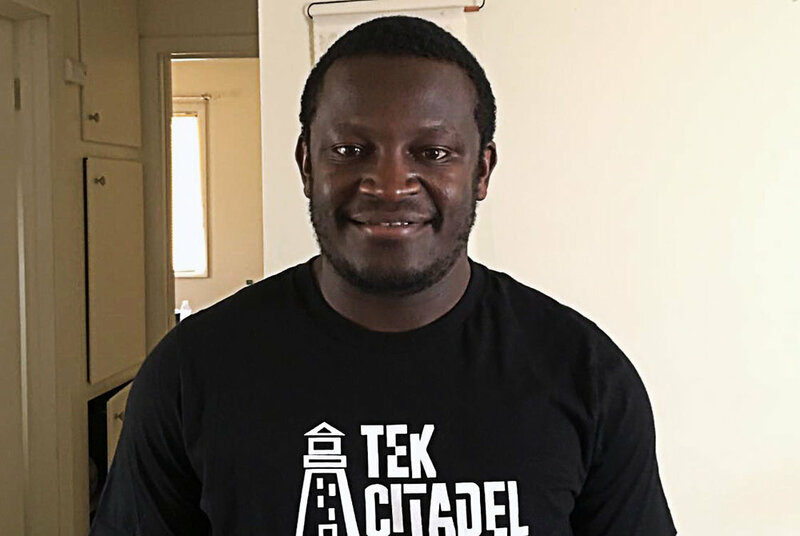 This Cameroonian native launched the technology company Tekcitadel to connect information and communication technology (ICT) specialists in Africa to budding companies in the Rochester area in need of web development services, bridging the ever-narrowing gap between the two continents. With Tekcitadel Ngah, in addition, seeks to discover and curate responsible web and app development agencies already existing in Africa and to assist them in perfecting and mastering the techniques and specifics required for remote work, all the while maintaining a high standard of quality. Ngah himself has a depth of experience in remote web development; he created websites for Danish, German, and American contractors without ever having to leave Cameroon. A graduate of the University College of Technology in Buea, Cameroon, Ngah largely built his own career from learning by doing. He runs another startup, called WandaGuides, that connects tourists to government recognized travel agencies within Cameroon. Photo courtesy of Kenneth Ngah. Ngah sees something like Tekcitadel as an effective way to connect Africa’s developing tech sector to the needs of emerging entrepreneurs in the Rochester ecosystem. Ngah believes this capability will allow more products to launch from the Rochester area, attracting increased investment and bolstering the region economically. Ignite Minnesota, a new, statewide initiative, launches today out of Red Wing. This regional partnership works to convene, elevate, and promote the work of innovative businesses, entrepreneurs, and technologies in Minnesota to keep the region connected and globally competitive in an ever-evolving digital space. Ignite Minnesota aims to support students, businesses, and entrepreneurs throughout Greater Minnesota. The program officially takes off this evening from the Red Wing Ignite coworking space; Red Wing Ignite is a non-profit that provides a work space, gigabit internet access, business programming, connections, and more to help entrepreneurs turn their innovations into reality. The steering committee for Ignite Minnesota includes 3M, Xcel Energy, Winona State University, Minnesota State College SE, the City of Red Wing, Collider Coworking, Rainsource Capital, Goodhue Country, and multiple entrepreneurs. The goal is to create a connection point for people, ideas, and resources in Minnesota to foster innovation and develop technology in clean energy, healthcare, advanced manufacturing, education, and agtech. “Our work will help rural America and Greater Minnesota stay competitive,” explained Neela Mollgaard, Executive Director of Red Wing Ignite. After linking up with other US Ignite communities, Mollgaard said that Red Wing Ignite “really started focusing on entrepreneurs and startups and trying to give them the resources that they need to succeed.” In 2015, US Ignite, in partnership with the National Science Foundation, launched a Smart Gigabite Communities (SGC) Program to develop and deploy these newly developed technologies in the real world. Red Wing Ignite became the very first rural community to be designated as an SGC by the program and the only SGC focused on agtech. Now, Red Wing Ignite is looking to expand its mission to fuel innovation in Greater Minnesota, connect entrepreneurs and institutions, and further support and elevate the innovation already occurring in this region with Ignite Minnesota. While the program officially opens today, the work is far from over to implement Ignite Minnesota across the state. A number of tech ambassadors have been hired in outreach positions for the program. These ambassadors will link up with meetup groups, developers, students, stakeholders, and other entrepreneurs across the state to provide education about Ignite Minnesota and to discover needs and gaps in these communities. “Throughout the whole year, we will also be planning events to gather these key stakeholders to continue to work together to help foster new innovations,” explained Mollgaard. Red Wing Ignite serves as the community piece in this puzzle, forming a tech hub for Minnesota’s entrepreneurs and reaching out to other Ignite communities to share best practices. Learn more about this new initiative by attending the Ignite Minnesota launch this evening in Red Wing. 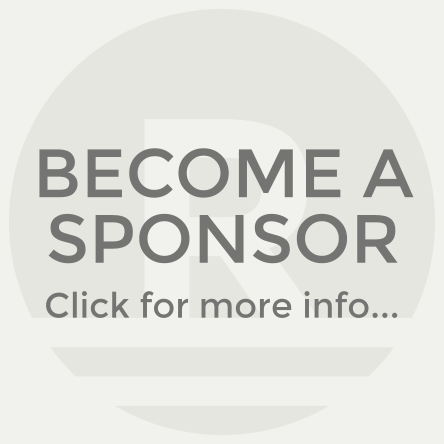 Ignite Minnesota is also interested in connecting with entrepreneurs in need of resources, potential business mentors, and any individuals interested in hosting or co-hosting events with the program. On the eve of Super Bowl LII, the stars were not the football players, but the innovators and entrepreneurs with the ideas to change the game. Yesterday morning, nine early stage sports tech startups pitched their emerging technologies during the NFL’s 1st and Future Competition, the organization’s premier business pitch event, to a panel of judges and invite-only audience to win $50,000 and two tickets to Super Bowl LII. The startups remaining in this annual competition participated in one of three categories: Advancements in Protective Equipment, New Therapies to Speed Recovery, and Technology to Improve Athletic Performance. One winner was selected in each category. The Denver, Colorado based startup Impressio won the Advancements in Protective Equipment division. Impressio is led by a pair of engineering professors who have spent the last fifteen years “obsessed with finding new materials to improve human health.” This team aims to replace the current foam in helmets with a material containing “unprecedented energy absorbing ability,” called liquid crystal elastomers, to reduce concussion rates. These oval shaped molecules rotate when impacted to absorb more energy and dissipate absorption from impact over a broader range than current helmet foam material, increasing helmet safety. The technology requires no fundamental re-design of the helmet. Liquid crystal elastomers are documented by over forty years of research but are difficult to make, according to Impressio. The team has a patented procedure to manufacture the material in bulk. Curv.ai, based in Toronto, Ontario, walked away as winners in the Technology to Improve Athletic Performance category. This startup is developing software that transforms the camera on any smart phone into a tool to test athletic abilities, track athletic progress, diagnose injury, and compare athletic advancements socially. The application can capture data such as throwing speed, vertical jump, knee kinematics, and reaction time to create a “revolution in athletic testing and athlete development.” The platform is free to use, with a paid premium model available to track data over time. The software is geared toward young athletes. A variety of wearables do exist to quantify these same types of data. However, these items are expensive, complicated, and cannot be integrated onto one platform, according to Curv.ai. The Mountain View, California startup Recover X won the final division, New Therapies to Speed Recovery. This startup is “building the next generation of injury recovery devices to help speed recovery…and keep players accountable to their actual treatment.” The startup is developing a smart phone-controlled electric cold and hot therapy device that warms up or cools down to the optimal therapy temperatures in under thirty seconds. The device can also alternate between heat and cold for optimal recovery. The device is portable, runs on batteries, and requires the use of no ice. It even tracks data to ensure that players are performing their therapy as prescribed. The device is currently targeted to the knee, the cause of 28% of Injury Reserve issues in the NFL last year. However, the design is modular and can be adapted to target other portions of the body. The NFL’s 1st and Future Competition was sponsored by Mayo Clinic, Sports Engine, and Comcast NBCUniversal. The event was hosted by Scott Hanson of the NFL Network. The expert panel of judges included Amy Banse, Managing Director and Head of Funds for Comcast Ventures; Jonathan Finnoff, Medical Director of Mayo Clinic Square with the Sports Medicine Center in Minneapolis; Courtney Hall, Managing Director of Hillcrest Venture Partners and former NFL athlete; Justin Kaufenberg, Co-Founder and CEO of Sports Engine; Laurie Locascio, Vice President for Research at the University of Maryland; Eric Sugarman, Director of Sports Medicine and Head Athletic Trainer with the Minnesota Vikings; and Jennifer Wethe, Neuropsychologist for Mayo Clinic Arizona Sports Neurology and Concussion Program. This year, no Minnesota companies made it to the final round of the competition. 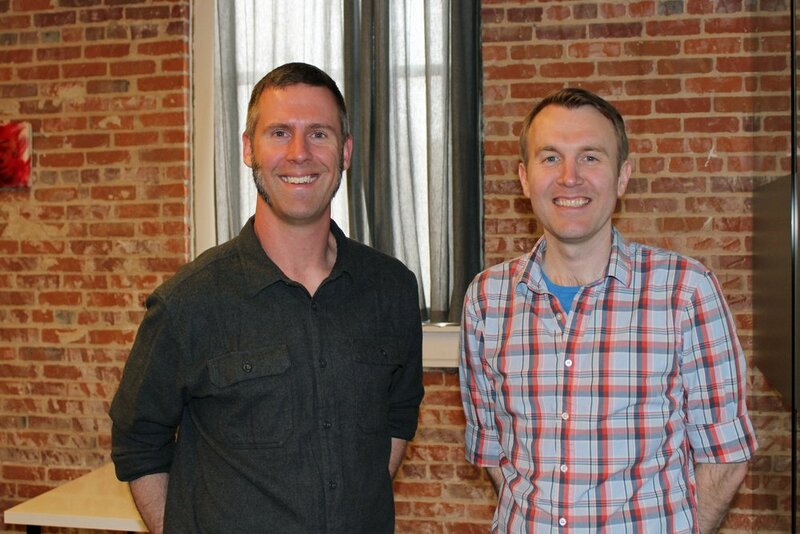 Spark DJ Founders James Jones (left) and John Gavin Boss (right) speaking at a previous 1 Million Cups Rochester. A big congratulations and good luck to Spark DJ founders John Gavin Boss and James Jones. This Rochester music startup is off to Los Angeles to participate in the Techstars Music Accelerator. Techstars is a premier accelerator program and global network that provides entrepreneurs with the resources and connections they need to succeed. The accelerator program begins on Monday and runs for thirteen weeks in LA. Only ten music startups were accepted into the program. During their time in the accelerator, Spark DJ will have the opportunity to receive mentoring from a variety of experts in music, media, tech, and venture capital to move their business forward. Techstars Music also invests $120K into each honoree. Spark DJ is a mobile application that uses artificial intelligence and data science to deliver live-curated music right from a cell phone to provide high quality, well mixed music. The startup has also made significant strides in Minnesota. They are previous High-Tech division finalists in Minnesota Cup, the state’s premium startup competition, and were Golden iPod Champions in Beta.MN Startup Showcase in Minneapolis. This article is the second, and final, installment telling the story of DoApp, a mobile development company and Rochester's biggest startup story that you didn't know. In part one we discussed how founders Wade Beavers, Joe Sriver, and David Borrillo launched DoApp on a whim in 2008. After spending a year with little direction, the team focused in and developed three portions of the business: a news and broadcast solution, a real estate market solution, and a healthcare solution, called mRemedy. If you missed part one, click here to catch up with the story. DoApp founding member and CEO Wade Beavers. Photo courtesy of DoApp. Beavers tried to perform a complicated juggling act, functioning as CEO of both the news and real estate portion of DoApp as well as the active CEO of mRemedy, the health and wellness mobile application solution in partnership with Mayo Clinic. None of these three were failing, or at least none were failing fast, but the company needed to focus once again to home in on their “DNA” and capitalize on their intellectual assets. “I think all three would have gained traction, but I think there’s no way you could have focused on all three,” Beavers said. Thankfully, fate and strategic partnerships helped just a bit. mRemedy was gaining traction all by itself. In 2010, the care transitions provider Axial Exchange did an asset acquisition of mRemedy, obtaining the knowledge and infrastructure of that portion of the business, while allowing all the employees to remain with DoApp. With the focus now on the news and real estate portions of the business, both started to take off. In 2012, the DoApp team was looking to exit, or sell the company. Beavers began running a dual process to sell both the news and real estate sides of DoApp to separate companies. However, fate reared its head again. Near the very end of the due diligence process, the buyer for the news portion of DoApp backed out, while the real estate piece was successfully acquired by the property solutions provider CoreLogic. This mishap resulted in, essentially, the fragmentation of the company. But the most difficult part, Beavers said, was having to dust himself off and start running what was left of the company again. “So, imagine you’re spending all your time prepping for that piece and now you have to pick up the pieces and go. So that was really hard,” he explained. Now whittled down from three to just one company, DoApp doubled down on the news solution. They focused only on providing mobile applications and web solutions for broadcast, radio, and news agencies, building out an impressive portfolio. The company grew so much, Beavers said, that he started to stash away money in case the business eventually went south. Beavers continued to grow DoApp for two full years until another potential partner came forward. In just July of last year this final portion of DoApp was successfully acquired by NEWSCYCLE Solutions, a leading tech provider for global media based in Bloomington, Minn.
As part of the acquisition deal, DoApp remained in Rochester and all the employees will stay on for at least two years after the acquisition. “A great product goes away if great people go away,” Beavers rationalized. Rochester Global Entrepreneurship Week. November 13th-17th. He said there’s a lot of talent in Rochester and it was important to him to keep these jobs in the area. “We were doing that for Rochester. …Those are average wage jobs of $90,000 or above, minimum. That’s real money,” he said. Beavers agreed to stay on as President of Mobile at NEWSCYCLE for at least one year, with all his employees still directly reporting to him. Although that year has passed, he has given no indication of his intent to stay or leave the company. Now with a little bit more time on his hands, he’s begun investing in some other local startups. One thing that helped Beavers succeed was a perceptive understanding of the “DNA”, or culture, of his company. And not just what he desired for the business’s “DNA”, but really comprehending what his employees valued. Beavers knows a thing or two about fostering company culture. In his over eight years at DoApp, only one employee has left the business. Even though the Rochester startup and entrepreneurial community has changed since 2008, Beavers said it’s still in its infancy. He thinks the community in Rochester has to be comfortable with its own “DNA” and understand that unicorns are not going to be built here. But that doesn’t mean the community is lacking in great ideas, sharp talent, or rising potential. Beavers said while building a business you have to be laser-focused on just the business. “You have to put everything away and get the thing to the finish line,” he advised. Now that his own exits are complete, Beavers is looking to give more of his time to the Rochester entrepreneurial community and offer up his advice and unique experience as guidance. As part of these efforts, the DoApp founding team of Beavers, Joe Sriver, and David Borrillo as well as other key service providers in the community will host an event during Rochester Global Entrepreneurship Week to candidly talk about fundraising, acquisitions, pivots, and everything else you want to know about startups but are afraid to ask. Link up with the team and hear their first-hand account of how they built a startup in Rochester on Wednesday November 15th at 6PM in the Bleu Duck Kitchen. Click here for more information and to register. Al Berning, CEO of Ambient Clinical Analytics and Dr. Zhang Jiwu, CEO of Meehealth. Photo courtesy of Ambient Clinical Anaalytics. Beijing, China – October 26, 2017 Ambient Clinical Analytics announced today that it has signed a Cooperation Agreement with Meehealth (The wholly owned subsidiary company of Bringspring Technologies Co., Ltd, hereinafter referred to as Bringspring Meehealth or Meehealth) in Beijing. Bringspring Meehealth plans to sell Ambient Clinical’s products in China and the companies plan to develop new products for China and the world markets. Founded by a Mayo Clinic academic clinical team and seasoned technology entrepreneurs, Ambient Clinical is located in Rochester, MN, USA. Ambient Clinical’s software enhances the way critical care providers operate. The company sells real time clinical decision support systems and alerting tools to hospitals which result in reduced errors, lower health care costs, and improved patient outcomes. "Bringspring Meehealth and Ambient Clinical met in the United States in 2014. Bringspring Meehealth has an international professional team and culture, and places a high value on technological innovation and product quality. Meehealth is honored to cooperate with excellent partners such as Ambient Clinical. “Benefiting society and benefiting mankind is the mutual mission and foundation of the cooperation, and the companies will jointly contribute to the development of world health service." said Dr. Zhang Jiwu, CEO of Meehealth. “We’re looking forward to working with Bringspring Meehealth and Ambient Clinical to deploy the unique Mayo Clinic real time clinical decision support technology in China.” said Brian Pickering, M.B., B.Ch., of Mayo Clinic, one of the co- inventors of the technology. "Bringspring Technology acquired Meehealth, which is the industry's leading health IT company, supporting the company's leading edge in the field of clinical application subdivision. Meehealth has established a cooperative relationship with Ambient Clinical, and we are very pleased and excited about the future. We will fully support and have full confidence in the development of the companies’ cooperation." said Qi Zheng, the vice president of Bringspring Technology. Bringspring Meehealth are health care high-tech enterprises with an international perspective, the domestic first-class level, with research focused on medical software products and leads the market by operating room, ICU, emergency department and other clinical information application market customers across the well-known 3A hospitals. With strong technical ability in data processing, data modeling and system architecture design, the company has entered the medical health big data, artificial intelligence and other innovative research applications, relying on the research center in Boston in the United States and the international first-class scientific research talents, Bringspring Meehealth has made remarkable achievements in the research of the health care field, with a mission to improve the efficiency and quality medical services and improve health outcomes. Ambient Clinical has licensed Mayo Clinic technologies which include over 1,000 rules and algorithms to give critical care providers real-time access to vital process-of-care information and analytics at the point-of-care, as well as from a central Clinical Control Tower. The CERTAIN product provides critical clinical resuscitation information in the first “Golden Hours” of critical care. Bedside based alerts for conditions like Sepsis allow physicians and medical personnel to spend more time with patients rather than reviewing data. Ambient Clinical’s products are designed to support a hospital’s Lean Quality and Six Sigma initiatives. Ambient Clinical has achieved FDA Class II Clearance for the AWARE and Sepsis DART software platform. Mayo Clinic and Dr. Brian Pickering have a financial interest in the technology referenced in this news release. The revenue that Mayo Clinic receives is used to support its not-for-profit mission in patient care, education and research. Bringspring (300290) is a technology listed company established in 2005. Driven by ongoing innovative, focus on health data and intelligent cloud services areas. We have established a cutting-edge technologies portfolio in cloud computing, big data, internet of things, artificial intelligence and service. With more than ten years efforts, Bringspring is committed to building a better intelligent and healthier world, and we have grown into a considerable investment value and development potential company. In 2017, company jointly launched the China health big data Limited company, led by National Health and Family Planning Commission, to build a healthy medical big data ecosystem. Meehealth is a leading Health IT company that supports hospitals across China. It has from the world's leading technology and management team, to provide emergency clinical information system (ECIS), Intensive Care Clinical Information System (ICIS), Anesthesia Clinical Information Management system (AIMS), Hospital Unified information Solution (HUIS), mobile Ward Rounds system and the medical industry IT system products , combined with cloud computing, big data, networking, AI and other new generation of information technology to provide the critical patients cloud platform, regional emergency for overall customer collaborative cloud platform and other medical information solutions. In 2016, Bringspring wholly owned Meehealth, has strengthened the company's leading edge in the field of clinical application subdivision. Bringspring integrates high-quality resources, and actively explore the clinical medicine artificial intelligence and big data application platform, build health care big data ecosystem, and promote more intelligent health new service model. Ambient Clinical Analytics sells powerful real-time bedside healthcare data assimilation, communication, and analytics based clinical decision support tools that support the general hospital floor, Emergency Department, ICU and other critical care areas. At Ambient Clinical Analytics, we understand the power of data to save lives and our analytics based, real- time, point-of-care solutions like Sepsis DART rely on real-time data to improve Sepsis detection and the monitoring of Sepsis treatment. Our business model is supported by software license fees, SaaS, Cloud and system integration support. 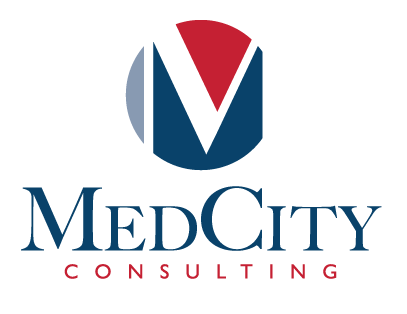 Ambient Clinical Analytics has an MD and executive team with strong track records in medicine, clinical research and informatics, medical products and IT. Ambient Clinical’s investors include Social Capital, Mayo Clinic, Waterline Ventures, Bluestem Capital, Rock Health and Rochester Area Economic Development Inc. Yesterday the latest installment of 1 Million Cups Rochester took place, featuring the rapidly growing Rochester tech startup GoRout and the emerging Twin Cities software company EverGreen. “Football,” explained GoRout Founder and CEO Mike Rolih, “is all about imagery.” In a sport dominated by chalk talks, diagrams, and film footage, the current communication methods used in football, Rolih said, are outdated and inefficient. To communicate the next play during practice, coaches currently call their players off the line of scrimmage, talk through the upcoming play using a diagram on paper, and then send the players back out onto the field. Instead, GoRout has perfected football practice with their line of visual communication products. Their first product, Vue, displays play cards visually on a small screen that straps around players’ forearms and instantly communicates plays without the player ever leaving the field. GoRout’s newest product, Vue-Up, utilizes the same technology to display the next play across the visor of players’ helmets. Using this technology, teams can run 45-55 reps in ten minutes, compared to 10-12 plays in that same amount of time without the GoRout products. GoRout also developed their own private wireless network, covering all forty-eight lower U.S. states and half of Canada, that sends plays from the coaches to the players on the field in under one second. All GoRout hardware is designed in Rochester. The tech startup provides their software to football teams for free and sells teams bandwidth on their private network. Rolih says GoRout is “pretty solid” now in both software and hardware development; their network has not dropped a single play since May. GoRout has achieved much success. Rolih said their biggest problem now is dealing with the growth of the business. “We’re transitioning from being a startup to [being] an early stage company. And with that comes a significant amount of learning pains and growth pains,” he explained. Although the startup must expand, Rolih said he wants to keep the home office as small as possible. He expects the Rochester team to grow from seven to twenty-five people by the end of next year. 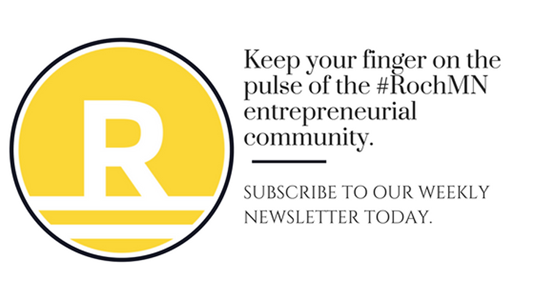 For himself and other startups in this city, Rolih asked Rochester entrepreneurs to start talking. EverGreen is a social media automation tool for small to medium-sized businesses that lack the “time, resources, expertise, or budget to really run their own social media.” This emerging software startup was developed by accident, explained Founder Lou Abramowski. A few years ago, Abramowski performed an experiment. He kept changing his birthdate on Facebook to the current day to see if he could receive happy birthday messages. He decided to continue this test until the birthday messages were no longer sincere. He expected the replies would continue for a few days. He was shocked when they went on for several weeks; he even received some from the same people more than once. He deconstructed this experiment to determine why the messages continued for so long and boiled it down to one thing: “evergreen” content. “Evergreen,” Abramowski explained, is material that does not expire and is not relevant to the date, time, or current events. It’s something that’s educational, inspirational, or entertaining as opposed to content tied to a specific event, such as a Labor Day post, for example. Since the beginning of social media marketing, Abramowski said people hesitated to reuse content or thought it should be “single serving,” or tailored to a very specific audience. Instead, he experimented with the exact opposite, even going so far as posting the same photo of a bunny wearing a backpack on Facebook every single day. He began building up a library of this “evergreen” social media content on his computer desktop. Eventually, he designed software that would pull the content out of these libraries and randomly publish them on social media accounts whenever he did not publish content or have it scheduled on typical social media management platforms like Buffer or HootSuite. Eventually, word spread and people asked to license his software. Today, EverGreen publishes between 20-30K posts each day and manages a few thousand Facebook pages. Abramowski says fifty percent of his customers are solopreneurs. Another twenty-five percent are small businesses that cannot pay for a full time social media manager. The remaining twenty-five percent are larger agencies. 1 Million Cups is a free, national education program that takes place in over 133 different communities across the United States to support entrepreneurship. 1 Million Cups Rochester occurs on the first Wednesday of every month at 9AM at the Bleu Duck Kitchen. The next 1 Million Cups Rochester will be held Wednesday October 4th. Five Rochester teens will represent the city as one of only twenty-four startups remaining in the Minnesota Cup venture competition. This team of all female students is developing an app, called Via, that limits distracted driving. They are the only startup from Olmsted County left standing in the seven-month long competition. Minnesota Cup, the largest state-wide startup competition in the United States, is in its thirteenth year of operation. Since its inception, this annual event has supported over 13K Minnesotan entrepreneurs across ninety-three percent of all Minnesota counties, awarding over $2M in seed capital. Minnesota Cup finalists have gone on to raise over $300M to create jobs within the state. The Minnesota Cup competition begins in late March, where startups with less than $1M in annual revenue can enter one of eight different categories: Energy/CleanTech/Water, Food/Ag/Beverage, General, HighTech, Impact Ventures, Life Science/HealthIT, Student, and Youth Divisions. Division semifinalists are announced in late May; finalists in each division are revealed at the end of August. This year, 520 startups entered Minnesota Cup, competing for over $450K in seed money. In addition to capital, participating startups also received business plan feedback, networking opportunities, and mentorship from leaders within their industry. The Rochester team “SKeMAs” is one of three startups remaining in the Youth Division. The women of “SKeMAs”-Sophia Fulton, Stela Baltic, Anushri Walimbe, Maurine Macharia, and Keerthi Manikonda- are developing a mobile app called Via to mitigate distracted driving among their peers. They hope to add additional layers of complexity as the product matures. Green Garden Bakery and Peacebunny Island are the two additional finalists in the Youth Division. Green Garden Bakery grows urban vegetables and prepares them into healthy desserts for their community. Peacebunny Island is creating a rabbit sanctuary for Angoras and other rare breeds used in the fur industry. The rabbits are given gentle haircuts four times a year and the fur is spun into “HEARTfelt” humane, eco-friendly yarn. This year’s Minnesota Cup will culminate in a free, inclusive event on October 9th at the McNamara Alumni Center in Minneapolis where the overall Grand Prize winner will be announced. Last year, the Life Science/Health IT startup Stemonix won the entire competition. Stemonix creates physiologically relevant plates of microtissue for drug discovery and development, including a micoBrain and microHeart platform. Dessa- a rapper, poet, and member of the Minneapolis based hip-hop group Doomtree- will emcee the Minnesota Cup Grand Prize Ceremony this October. SKeMAs team. From left to right: Stela Baltic, Sophia Fulton, Anushri Walimbe, Maurine Macharia, and Keerthi Manikonda. “SKeMAs”- a team of five Rochester-area students- are developing an app, called Via, to limit distracted driving among teens. This group of young women advanced all the way to the semifinal round of the global tech competition Technovation a few months ago. Now, they are working their way through the Youth Division of Minnesota Cup, making the roads safer one driver at a time. Stela Baltic, Sophia Fulton, Maurine Macharia, Keerthi Manikonda, and Anushri Walimbe saw a problem affecting their peers and everyone around them. The girls originally designed an app, called Via, to log hours while training for a driving permit. However, they soon recognized a larger problem than missed driving hours: teenage distracted driving. To combat this issue, the team expanded the functionality of their mobile app Via to lower distracted driving rates among teens, and adults, to make the roads a little bit safer. Once installed, Via reminds users to mute all notifications while driving. The app sends automated replies to anyone texting the user while they are driving and can even notify the text-er once the car has reached its destination. Now, the girls are beefing up some features of Via to enable multiple user accounts and other capabilities. They hope to ultimately link the app to the on-board diagnostic system of the car. “If we can get the phone on the same level as the car itself, that can allow parents to monitor driving habits as well,” explained Manikonda. Such a connection could enable speed threshold monitoring, where parents could be alerted when their teen accelerates over a set speed limit. It could also allow for supervision of braking and reckless driving behaviors. The team began building the app last summer and homed in their concept during the twelve-week long Technovation Challenge. This international competition encourages teams of four to five girls create, design, and build mobile apps to solve real world problems to inspire technology, entrepreneurship, and STEM careers in young women. Since 2010, ten thousand girls from seventy-eight countries have participated in the tech challenge. The Minnesota branch of the program, Technovation[MN], culminated in a state-wide pitch event, called Appaplooza, on May 7th at the Minneapolis Convention Center. This year, approximately two hundred fifty girls participated. Two high school and six middle school teams advanced from Appaplooza to the semifinal round of the global Technovation competition, including the SKeMAs team. In the end, SKeMAs finished as runners up in the world for their category in this round. Although the five girls on SKeMAs got to Technovation through different paths, it was clear that the experience was unforgettable to them all. Some, like Fulton, were always interested in entrepreneurship and saw the competition as an opportunity. Others, like Manikonda, were coerced into it. As part of the competition, the girls learned to communicate and function as a team. Some learned how to code. And some learned about business development. They also connected with and got input from leaders in the community, including Techstars Product Manager Rachelle Oribio. They also, most importantly, learned how to support other young women, friend or foe. “You see all these unique, brilliant ideas coming from girls your age. And it just reminds you that we’re just as capable as boys of helping to change the world,” summed up Baltic. Now, the team is in the middle of the semifinal round of the Minnesota Cup- the largest statewide startup competition in the United States. They’re working to make Via just a little bit better than it was during Technovation. She said the team is a bit inexperienced in navigating the business side of things, whereas some of their competitors already have a viable product with sales. Plus, they’ve run into a major competitor along the way: Apple. In June, a beta version of iOS 11 launched with a “Do Not Disturb While Driving Mode” to block texts, incoming calls, and notifications while the car is in motion. However, the team doesn’t seem to be all that discouraged. “One of our mentors, Rachelle [Oribio] spoke to us about this,” Walimbe said. She told the girls they just had to be better and one step closer than the competition to succeed. Manikonda said the team is expanding some capabilities of the app that Apple doesn’t have yet and believes that integrating changes into the actual phone operating system itself is limiting. “As app developers, I feel that we can take in feedback and get new updates out on the app quicker than software updates could do the job,” she explained. With Apple looming on the horizon, the team is laser focused on Minnesota Cup and seeing where that experience can take them. They’ll learn if they advance to the final round this Friday. BrandHoot Founder Nate Nordstrom has built his company from the ground up. This Rochester-based, design-focused business was created in Nordstrom’s attic office five years ago. Now, the ten-person team is a finalist for the U.S. Chamber of Commerce’s 2017 Design Big Small Business of the Year Awards. BrandHoot continues to discover new ways to thrive in Rochester and beyond. Now, Nordstrom looks to other entrepreneurs to just “start something” in this city. 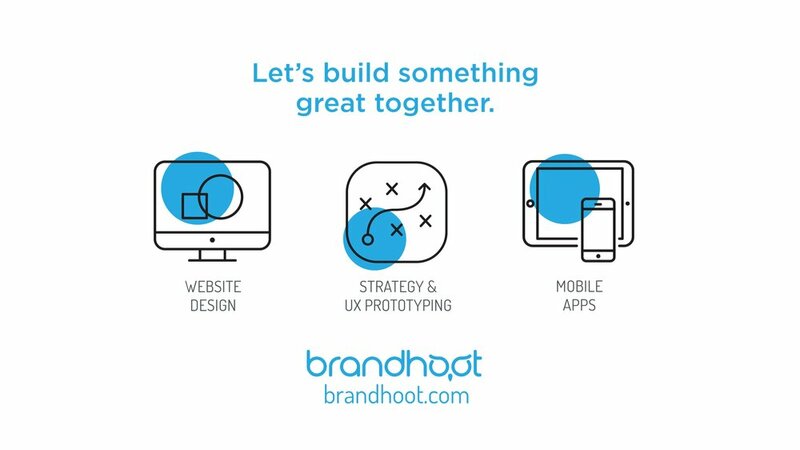 BrandHoot develops websites and apps through a “special blend of strategy, design, and engineering” to empower and advance business owners and healthcare leaders. In addition to website design, the team offers strategy and UX prototyping, design sprint, mobile app design, custom programming, inbound marketing, and accessibility testing services. BrandHoot has worked with clients like Mayo Clinic, Destination Medical Center, and the Rochester Area Chamber of Commerce. They also provide a website design service, called PixelPress, specifically for nonprofits and small businesses. 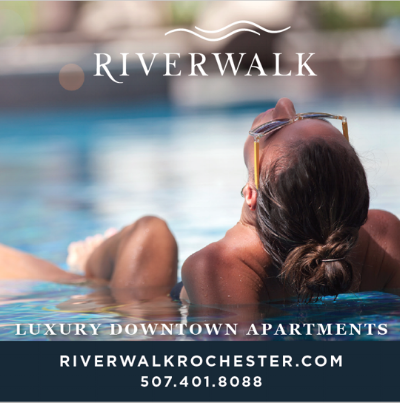 Additional BrandHoot products include the mobile apps Rochester Now, a one-stop shop to all events and resources in Rochester, and FanCoach, a Facebook marketing tool for restaurants. A native of Omaha, Nebraska, Nordstrom launched BrandHoot out of his own home attic office in January 2012, after leaving his full-time job and learning that he and his wife were expecting their first child. At the time, he had few connections in Rochester and no funding. He bootstrapped and grew the business over the next five years by providing unique value to his ever-growing customer base. In 2015, the BrandHoot team of four moved out of Nordstrom’s basement into The Vault, a historic workplace above Grand Rounds Brew Pub, to accommodate business progression. In 2016, the group moved into their brand new, current office space in the Conley-Maass-Downs building, the first complex in the Destination Medical Center’s Discovery Square District. The BrandHoot team, now grown to ten members, celebrated their 2000th day of business this June. To commemorate these days of growth in the Rochester community, BrandHoot is holding an open house in their new downtown office space on Friday, August 18th. The event will include hors d’oeuvres, local drinks, Legos, and fun on the BrandHoot indoor rock climbing wall. Nordstrom said that hard work, vision, attention to quality and customer service, and a good team are essential components of BrandHoot’s success over the years. “My wife, family, God, and the Rochester community always deserve my appreciation as well. Starting and growing a business is a very tough journey. But it’s all worth it, especially with great people by your side,” he explained. BrandHoot’s success does not stop with the 2000+ day count. The business is among only seventeen finalists for the U.S. Chamber of Commerce’s Dream Big Small Business of the Year Awards; BrandHoot is a finalist for the Community Excellence Award for their leadership and community engagement. New BrandHoot office space in the Conley-Maass-Downs building. The award winner will receive a $25,000 cash prize and recognition at the 2017 Small Business Summit, held September 10th through the 13th, in Washington, D.C.
“It’s exciting to be able to celebrate five years of growth and success in Rochester. And being up for a national small business of the year award is an unexpected honor. We’ve worked so hard from day one, it’s nice to be able to spend a few moments to sit back, reflect, and celebrate,” Nordstrom noted. To celebrate this accomplishment and involve the community, BrandHoot is holding a drawing to give away one free event ticket to the U.S. Chamber Dream Big Event, valued at $500. Click here to enter the drawing. A winner will be announced by Tuesday, August 15th. BrandHoot has cut its teeth in Rochester. Now, Nordstrom wants to see more entrepreneurs in this city just start something. He’s happy to connect with entrepreneurs to bounce ideas or share lessons learned. Nordstrom advises others to take risks, and above all else, to not give up when things get difficult. “It’s going to be hard mentally, physically, and emotionally. Make sure you surround yourself with good people from all angles, to help keep you grounded and give you advice, even when you may not ask for it,” he advised. The Minnesota Cup, the largest statewide startup competition in the United States, moved into the semifinal round yesterday. This year’s competition will award over $450,000 in seed funding to emerging businesses across eight different divisions. One entrant from Olmsted County, the minority and women-led tech startup Via, moves on into the Minnesota Cup semifinal round in the Youth Division. This year’s Minnesota Cup competition began in late March with an application launch party and culminates in a final awards event on October 9th at the McNamara Alumni Center in Minneapolis. This is the 13th year of the competition. Since its inception, Minnesota Cup has drawn in over 12,000 Minnesota-based startup participants from 93% of Minnesota counties. Finalists have raised over $230M since 2005. Any startup in Minnesota with less than $1M in annual revenue can enter the Minnesota Cup competition in eight different divisions: Food/Ag/Bev, General, High Tech, Energy/Clean Tech/Water, Impact Ventures, Life science/HealthIT, Student (anyone enrolled in graduate or undergraduate school between the ages of 19-30), and Youth (anyone under 18 years of age). Besides gaining access to seed capital, throughout the Minnesota Cup competition startups receive input on their business plan, gain access to mentorship opportunities with key industry leaders, and receive media coverage. On May 30th, the eighty semifinalists for the 2017 competition were announced, ten from each division. Over the next seven weeks, the semifinalists will be paired with mentors, tweak their business plans, and compete for the top spot in their respective divisions. Each divisional winner will receive $30,000 in seed capital and move on for the chance to win the $50,000 grand prize. The youth division leader will be awarded $20,000 and will also move on in the competition. This year, both student and professional division winners in Walleye Tank, a life science business pitch competition developed in Rochester, gained automatic entry as life science division semifinalists. Look for the Twin Cities-based startups Dolore Biotechnology and Dose Health as Minnesota Cup progresses. In Olmsted County, one entrant moved on to the semifinal round, the Youth Division tech startup Via. Via is addressing the prevalent health issue of distracted driving from texting, especially among teens. Via is developing an easy to use app that places phones into “driving mode” when the user is operating a vehicle to mute notifications and avoid unnecessary health risks. From left to right: Dr. Dave Albert, Vic Gondotra, and the author. Photo courtesy of Jamie Sundsbak. It was my immense pleasure to be asked to interview Vic Gundotra and Dr. Dave Albert last week at this event “A Conversation with Vic Gundotra.” Thanks so much to Jamie Sundsbak of Collider Coworking for this opportunity, which I will never forget. Last week, the Rochester community was privileged to hear from Vic Gundotra and Dr. Dave Albert, senior leaders at the Mountain View, California healthtech company AliveCor. The event was organized by Collider Coworking and sponsored by Rochester Home Infusion and Mayo Clinic Ventures. Both Gundotra and Albert are entrepreneurial leaders with extensive careers in disruptive technology. Albert, Founder of AliveCor, left academic medicine in the late 1980s to launch his first company. At that time, he already held fifty-seven patents and had sold three inventions. An expert in startup growth, Albert sold three companies before beginning AliveCor. The journey of Gundotra, CEO and President of AliveCor, is just ever so slightly different. Gundotra, a man of Indian heritage, said his parents expected him to have one of two jobs. “You can either be an engineer or a doctor,” he explained. Instead, Gundotra became interested in coding during high school and figured out how to redirect the graphics buffer of his video game, the 1980s classic Lode Runner, to the LPT port of his printer. “I had never been cool in my life until the day I went to school and my book covers had screen shots of video games. And people talked to me! It was amazing!” he reminisced. In the early 1990s, there was no Microsoft Office. No Microsoft NT. The company essentially bet everything on Windows 3.0 in 1990, which was thankfully very successful. “Everyone forgets those early days when Microsoft was struggling and it wasn’t clear that we were going to be successful,” said Gundotra. Gundotra spent fifteen years at Microsoft, eventually working up to the position of General Manager, and was responsible for the overall platform and all of Windows development. He launched the very first developer’s conference, called the PDC, a precursor to today’s Worldwide Developers Council and Goggle I/O, and one of the first efforts to build a community of platform developers. However, Gundotra famously “got sideways with Bill [Gates] because [Gundotra] believed in the internet. Bill did not believe in the internet.” Gates insisted that the internet was not a platform, but instead was a series of webpages with limited capability. In 2007, Gundotra got courted by Google, also during the early stages of development, and left Microsoft for a business that he says was essentially just a search company at the time. While at Google, Gundotra ran Google Maps for mobile and all mobile application development. In the early stages, both his Gmail and Google Maps teams consisted of only five people. Eventually, Gundotra became responsible for all the social efforts for Google, an attempt to stop top talent leakage to Facebook, leading the drive on projects like Google Photos and Google+. Neither product was as successful as the business hoped. “Google does not get social. Google is the most anti-social company there is,” Gundotra admitted. Google failed to comprehend, and Facebook clearly saw, that people wanted their social networks prioritized. Please check back in tomorrow for the second half of this story, where Vic Gundotra and Dr. Dave Albert speak about AliveCor and a “tsunami” they say will revolutionize healthcare as we know it. ROCKAWAY, NJ (April 20, 2017) – All American Games today announced a partnership with GoRout, the on-field wearable playmaking technology for football teams across the country. GoRout is the only playmaking technology that combines intelligent software and on-field wearable products to enhance practice for high school, college, and professional football teams. U.S. Army All-Americans will use GoRout products to help players track their practice performance and perfect their game. GoRout brings several different products to the U.S. Army All-American Bowl. One of the products to be included is Vue, football’s only on-field display technology worn by players. With Vue, coaches send digital play calls, coaching tips, and assignments to every player instantly. Players select their position, see the play, and execute perfectly. At the NFL’s 1st and Future Competition at Super Bowl LI, GoRout was named the “Most Innovative Athlete Communication Technology” in football. In addition, GoRout was awarded “Product of the Year” by Football Scoop in both 2016 and 2017. GoRout is currently being used by some of the best high schools, FCS/FBS colleges, and professional football teams in America. For 18 consecutive years, the U.S. Army All-American Bowl has been the nation’s premier high school sporting event and serves as the preeminent launching pad for America’s future college and NFL stars. Odell Beckham Jr., Andrew Luck, Patrick Peterson, Adrian Peterson, Ezekiel Elliott, and Christian McCaffrey made their national debuts as U.S. Army All- Americans. A total of 330 U.S. Army All-American Bowl alumni have been selected in NFL Drafts. The 2017 U.S. Army All-American Bowl drew a record crowd of 40,568 to the Alamodome and was watched by more than 5 million unique viewers on NBC. For more information on GoRout, visit gorout.com and noscoutcards.gorout.com. Connect with all GoRout activity at fb.com/gorouttech, or at the official Twitter (@Go_Rout) and Instagram (@Go_Rout) accounts. For more information on All American Games, the U.S. Army All-American Bowl and its related events, visit usarmyallamericanbowl.com, goarmy.com/events/aab, allamericangames.com, and footballuniversity.org. Connect with all #ArmyBowl activity at fb.com/ArmyAllAmerican, or at the official Twitter (@ArmyAllAmerican) and Instagram (@armyallamericanbowl) accounts.